A couple of weeks ago, Motorola had started a 63-day road-trip to give a hands-on experience of many of its devices to potential buyers. 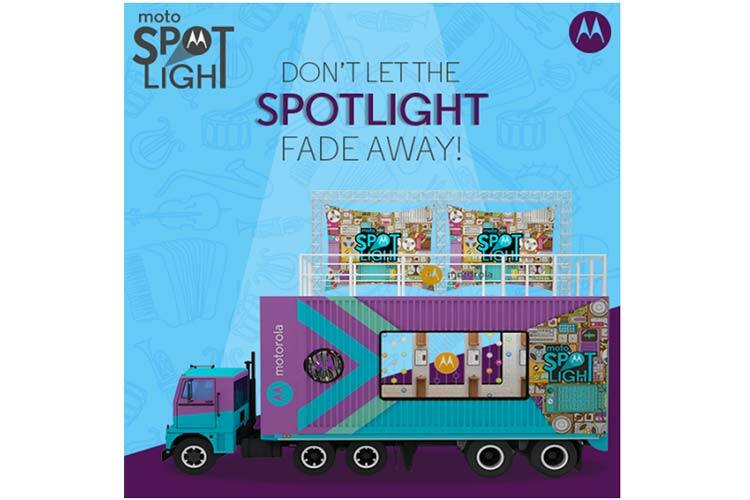 The initiative is called Moto Spotlight and, for those who don’t know, it involves showcasing of Motorola devices in 12 cities across the country on a travelling rooftop stage. You ask why do we bring this month old news up now? Because this Motorola vehicle is going to be in Delhi starting day after tomorrow. You can catch a bus from Pacific Mall, DLF Saket or Cyberhub in Gurgaon over the next couple of days. Click here for other details. Additionally, aspiring artists and musicians get a chance to perform alongside names like Parikrama and Junkyard Groove by being in the Moto Spotlight. All you need to do is register yourself or the band, and upload a video. The best entries will be made part of the performance. Register yourself on the official website to stand a chance to perform at Moto Spotlight.